This is part 3 of a 4 part tutorial. You can find part 1 here, part 2 here and part 4 here. 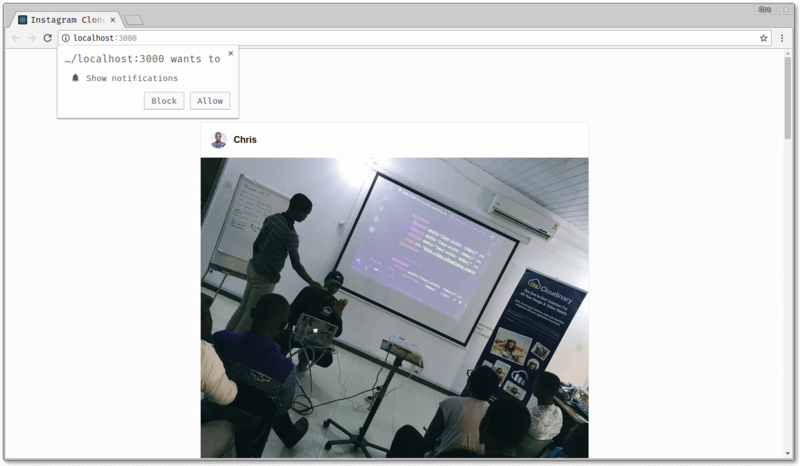 In the last part of this series, we looked at how to connect the GraphQL server to our React Instagram clone allowing for dynamic posts to be viewed on the homepage. Now, to give users a seamless and fluid experience when interacting with the application, let’s add realtime functionality to it. This will update feeds as new posts are created and a notification system will also be put in place to allow for this. To make this possible, Pusher is going to be integrated into the application to make it easier to bring realtime functionality without worrying about infrastructure. 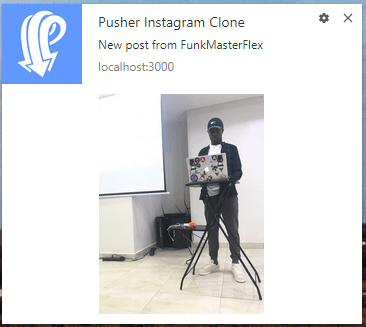 To get started with Pusher, create a developer account. Once you do this, create your application and get your application keys. When a post request is made to the /post route, the data submitted is then used to construct a new post and then the new-post event is triggered in the post-channel and a response is sent to the client making the request. Notice that in the snippet above, pusher and apollo_client are passed as properties for the Posts component. Let’s examine the Posts component. In the constructor of the Posts component an array of posts is added to the state of the component. Then, we use the lifecycle function componentDidMount() to make a query to fetch the existing posts from the server and then set the posts. Now, sometimes users have tabs of applications open but aren’t using them. I’m sure as you’re reading this, you likely have more than one tab open in your web browser - if you’re special, you have > 10. To keep the users engaged, the concepts of notifications was introduced. Developers can now send messages to users based on interaction with the application. Let’s leverage this to keep users notified when a new post has been created. When the user clicks on the notification, they are directed to view the full post. In this part of the series, we looked at how to incorporate realtime functionality into the instagram-clone application and also saw how to notify users when someone creates new posts using desktop notifications. In the next part of the series, we will see how to take our application offline using service workers. Here’s a link to the full Github repository if interested.